Posted On November 11, 2013 by Team iCynosure. Every parent strives to create a healthy and secure environment for their children and at times much beyond their abilities. Ensuring a clean house, tabling good quality food and using the best baby products are what some aspects parents do to enable them to create a favourable growing home for their children. And in unforeseen circumstances, the visit to the paediatrician is what parents think of. Being a new-age mother, my anxiety started much before my princess was born. I kept reading through the dos and don'ts the moment the doctor said, 'tiny feet are on the way'. However what I realized today is that each child comes along with its own needs and wants, and the set rules don't really matter. What matters is the how well one understand their children and respond to their needs. In the first few days since being promoted to the position of 'momma' I had a few baby-mares (re nightmares all related to my baby). In the very first week, we got her vaccination done at the maternity centre and the physician forgot to give her the BCG injection and thus the most important vaccination was delayed for over 6 weeks due to the stupidity of certified professional. As soon as she started turning around, she fell off the bed. More than her, I cried all the way to the clinic much to the amusement of our driver. So many more instances that caused me panic attacks, as a parent. The slightest fever, the merest cold and most silent cough gave me sleepless nights. And then all I wanted to do is cuddle my precious 'bee' and stay put with her. Immunity is 'having sufficient biological defences to avoid infection, disease and unwanted biological invasion'. It is the body's natural resistance to keep away harmful germs from entering it, and preventing colonisation and spread of germs. What can I do to protect your child from the endless array of germs and viruses that lie in wait each day? It's like falling ill, being unwell and getting sick is all about being a child. A child is born with a relatively inexperienced immune system, which becomes stronger when faced with germs, viruses and bacteria. Paediatrician think a few illness and infections is a process of growing up, giving the child's immune system the education to perform its task for the future. Yes, it's all about growing up. Good nutrition during pregnancy, a well-balanced diet and prenatal supplements are very important for a baby to grow and develop.One should consider consuming an additional 300 calories per day through 6-8 servings. Including foods items rich in fibre such as whole-grain bread, cereals, pasta, rice, fruits and vegetables ensures the right growth of the baby through the various trimesters. Taking prenatal vitamin, calcium and mineral supplement as recommended by your doctor helps the baby in taking form in a timely manner. A stress-free environment and regular exercises also go a long way in aiding development and having a relaxed pregnancy and delivery. Colostrum, the thick yellow 'pre-milk' produced in the first few days after childbirth is rich in disease-fighting antibodies which is essential for all babies. It is the first meal each baby should rightfully get within the first hour of birth in case of normal delivery and within 4 hours in case of C-Section delivery. Breastfeeding your baby is the best thing you can ever do for your baby as it contains immunity enhancing antibodies and white blood cells that guard against various infections, allergies and sudden infant death syndrome. Breast milk enhances brain development and also gives the baby the much need comfort to adapt to the new surroundings. Most paediatricians suggest only breastfeeding for the first six months and then onward a mix of breast milk, liquid diet and water. Many elder women suggest breastfeeding until about 14-15 months. Vaccinations play a vital role in a baby's development keeping numerous diseases and illnesses ranging from polio to measles, and even the seasonal flu at bay. Following the recommended immunization schedule also ensures a regular check and follow-ups which may enable to identify any irregularities and help correct them in time. Introduce immunity boosting phytonutrients especially Vitamin C in the child's diet which stimulate the body's production of white blood cells. Eating 5-6 servings of fruits and vegetables a day, rich in phytonutrients protect against chronic diseases like cancer and heart disease. Along with a balanced diet, the body needs loads of water each day not only to function but also to supplement the body cells. The golden rule is to drink at least 3 litres of water a day to build a strong biological system. Inculcate creative ways to encourage children to drink more water. Use interesting cups and glasses, flavour water with herbs, infuse water with cucumbers, fresh turmeric, etc to add colour and taste to it. Counter the routine cold and cough bouts with home remedies while chucking those medicines out. Use aloe, tulsi and other such natural herbs to treat day-to-day minor illnesses. A spoonful of honey is yet another miracle portion which helps the human body get rid of toxins along with enriching the red blood cells. Including Chyawaprash, especially Dabur Chyawanprash which contains ayurvedic ingredients provides 3 times more immunity that helps fight virus flu and infections. Don't go for the prescriptions unless absolutely necessary and recommended by the paediatrician himself. Exploiting antibiotics can cause antibiotic-resistant bacteria which fail to respond to standard treatment, thereby affecting the immune system negatively. One of the most crucial requisites for a healthy immune system is adequate peaceful sleep. A child in the age group of 0-5 years needs a minimum of 10 to a maximum of 18 hours of uninterrupted rest. With numerous things happening simultaneously your child today remains very distracted and sleep routines are haphazard. Boost our child's sleep by limiting the use of electronics in the evening, retiring with your child after an early dinner each day, getting into bed at a scheduled time. Help your child to form a routine by singing or reading a story to her. A cuddle and few kisses go a long way in relaxing our child and ensuring a comfortable and secure personal space. Cleanliness directly doesn't contribute to better immunity, however, it is a sure way of reducing numerous attacks on your child's immune system. Give your child a hygienic and fresh environment filled with natural surroundings to grow in. Help your child understand the importance of cleanliness - washing hands before and after meals, after using the bathroom, while playing and even when at home. Make your child cautious of using hand sanitizers and wet wipes when outdoors. And the most important point to remember here is 'a child learns by example', so do it yourself to preach it. Indulge in activities that incorporate physical as well as mental exercise, to stretch the human capabilities. Physical activities not only increases body cells but also encourages flexibility and agility through movements. Set time aside to go out and play with your child, especially games like badminton, catch and cycling which boost both mental and physical strength. Enrolling in a fun, yet high activity hobbies like swimming, dancing, ballet, skating etc help your child in building stamina as well as push the endurance limits. Active or passive smoking results in the same toxins entering the immune system to destroy and kill body cells. In fact, studies have shown that a child is more prone to the ill-effects of passive smoking as compared to an adult because not only a child breathes at a faster rate but also his natural detoxification system is less developed. Smoke increases the risk of numerous diseases like SIDS, ear and throat infections and asthma among children while affecting brain development and neurological stability. Banish all smoke causing elements, cigarettes and hookahs from any environment you create for your child - be it the home or the restaurants you visit as well as your car. Cord Blood is a rich source of blood stem cells - the building blocks of the blood and the immune system. Stem cells have the ability to develop into all other types of cells, so they can help repair tissues, organs, blood vessels and can be used to treat potentially fatal diseases. People think of Stem Cell and Cord Blood Banking as the latest fad to hit the healthcare industry. The frozen stem-cell-rich umbilical cord blood will weave it's magic to create new blood and immune system, giving the child a better chance of making a full recovery. Your child's health is in your very hands. Introduce these pointers in your lifestyle and boost not only your child's but also the immunity of your entire family. 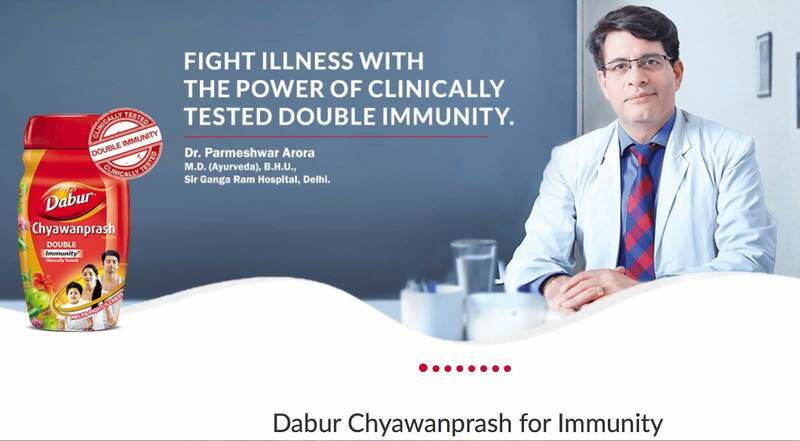 Is there anything else I can include to make my family Immune to all the negatives, thereby contributing to an Immune India. this is a great post. Very detailed and great information. Thank you for sharing and for visiting my blog. Your thoughts are appreciated. This is a great post, very informative to new mothers! I don't have kids but my cousin just did so I will pass this along to her. Great post! Thanks for the lovely comment on my blog, yes lets follow each other! I am now following you via GFC and Bloglovin! Your turn! Nice Post and nice Inspiration!! !